Now listed as vulnerable species in Queensland and New South Wales, we need your help to save our Koala population. Nearly 500 Koalas were admitted to Currumbin Wildlife Hospital in 2018 in comparison to ten years ago when just 25 were treated. 80% of the koalas treated last year were infected with Koala chlamydia. This disease spreads quickly and is often fatal if not treated, resulting in loss of Koala numbers. 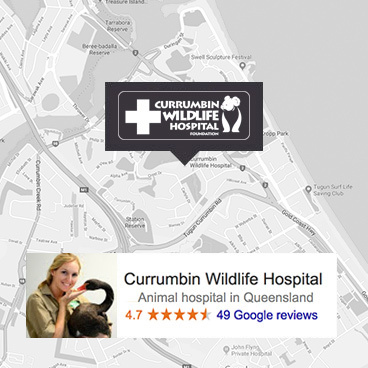 Currumbin Wildlife Hospital is struggling to keep up with the demands of treating affected Koala patients. Each sick Koala costs approximately $6,000 to treat, rehabilitate and release. Please help us to save our Koala population.